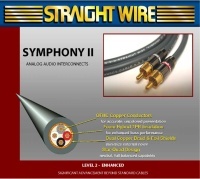 Level 3 cables by Straight Wire offer unique benefits such as: Copper strands that are individually polymer coated during extrusion to minimize corrosive effects of air and moisture. 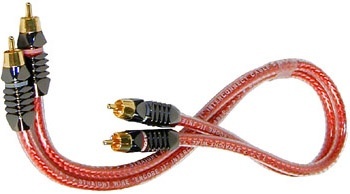 Advanced fabric braids to control resonances and reduce microphonics. 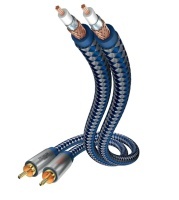 All electrical and mechanical parameters have been optimized in our laboratory for real-life performance in your home. 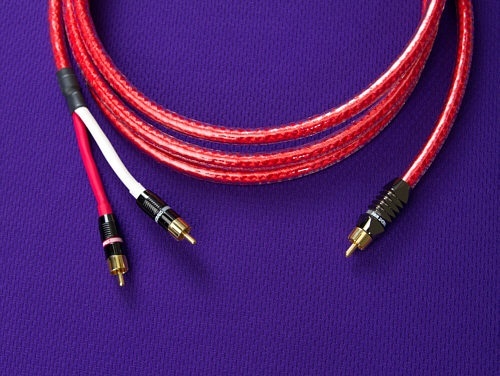 Encore II utilizes the highest grade of foam insulation for astonishing midrange fidelity. 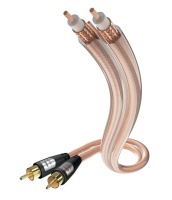 Our most advanced Star-Quad design, Encore II outperforms all other cable designs in this price class and insures high compatibility with nearly all components. 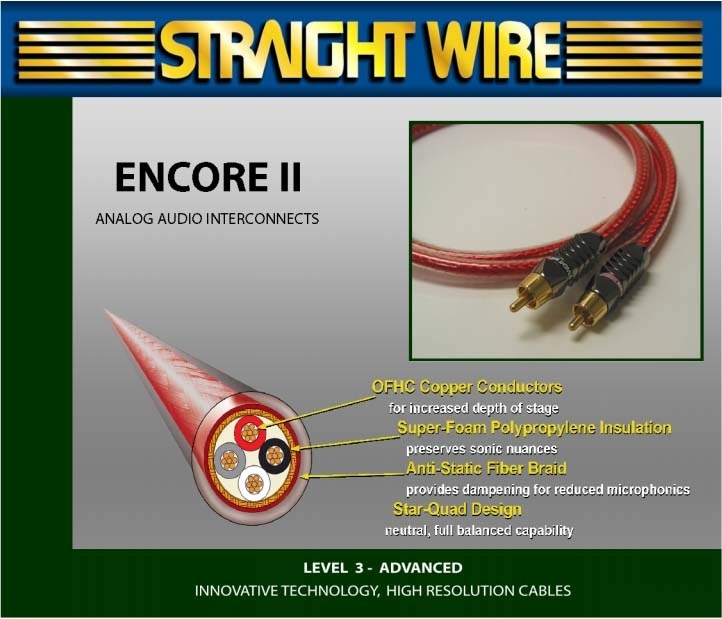 Discover the significant improvement a Level 3 cable can make with Encore II wired throughout your system. 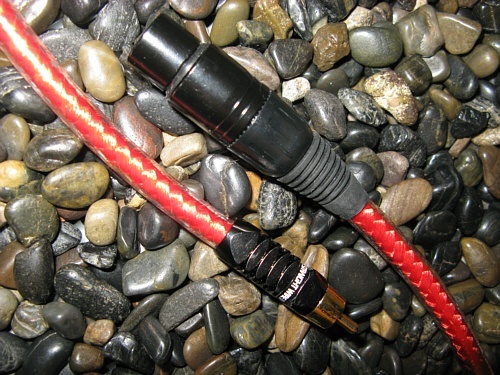 XLR (balanced termination available). 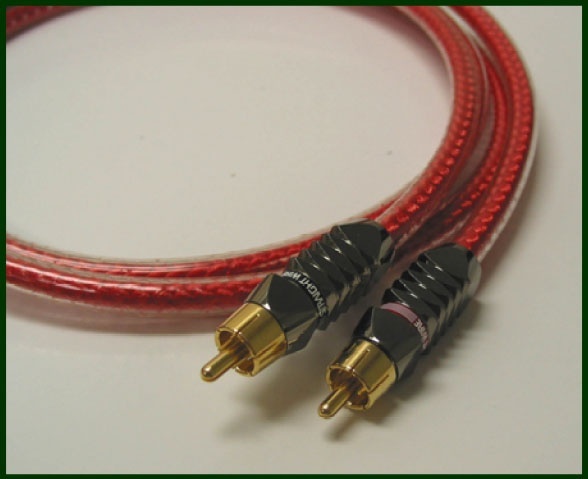 Grand Prix Award Winner - Audio Video International Magazine! Аналогичные товары раздела "Стерео RCA"